So, it has been established that I enjoy a good cupcake, amiright? So you can imagine how happy I am to be able to share this blog post with you all. 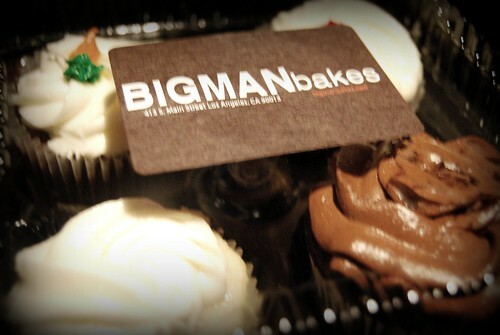 Months ago, during an LA Artwalk, I was lucky enough to try 2 mini cupcakes from Big Man Bakes. Even though it was a mini size (not even two bites) I was still very impressed! 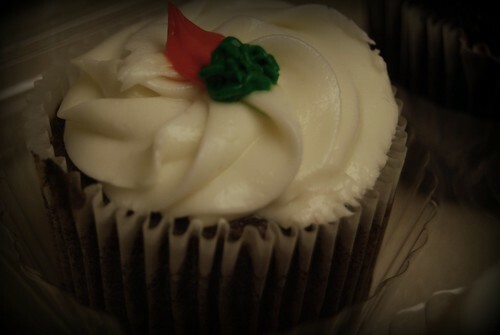 The red velvet and the carrot were incredibly moist and the frosting was just right! I was told they were not open yet, and that this was a preview. I had been thinking about those cupcakes all this time, and a month ago I went down to the deli where they had set up during Artwalk, only to find it closed for the day. Sadness. 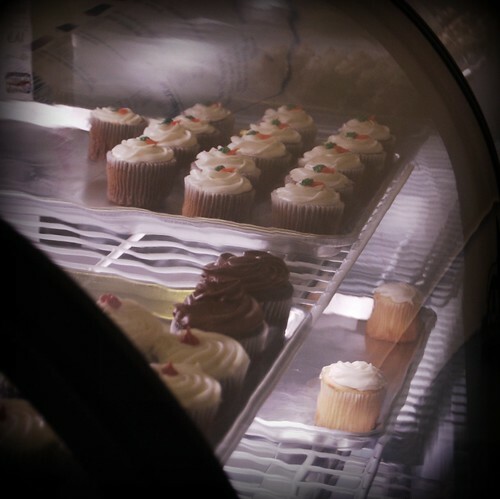 At the time, they had their cupcakes in a small case within a deli/liquor store, and I thought this was going to be their regular location. So, imagine my surprise, when after leaving the DTLA Festival of Lights, we passed by and saw a shop that was still open (it was close to 11pm) and not only that! I clearly saw some cupcakes up in there! Turns out that Big Man Bakes was so popular within the deli, he was able to open up his own little shop! Big Man himself was working and he is an incredibly nice person! Did you know he was studying to be a doctor? Trufax! Of course I wanted one of everything, but opted for a four pack so I could have a proper tasting. There are five different flavors, so trying four out of five was great. 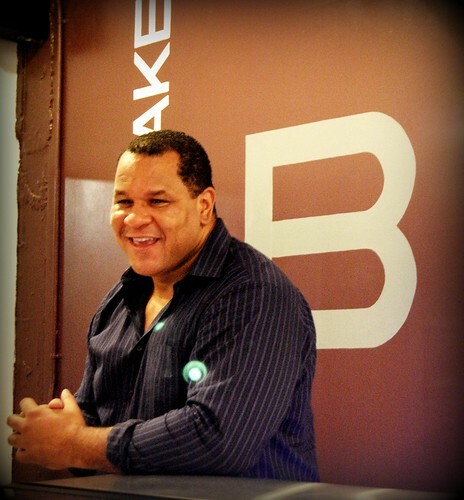 I love Big Man Bakes. 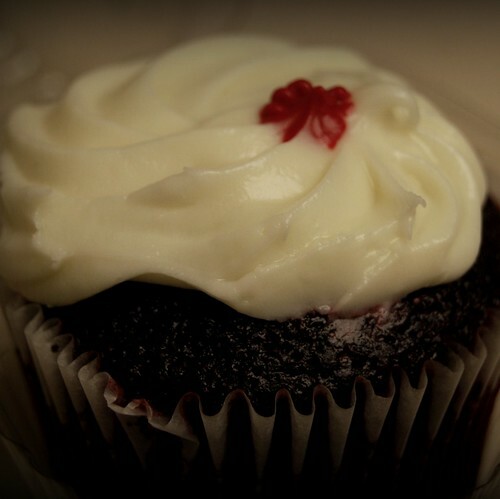 The cupcakes are very moist, the frosting in perfect, and the size is generous. They cost the same as Sprinkles ($3.25) and in my opinion, very comparable. 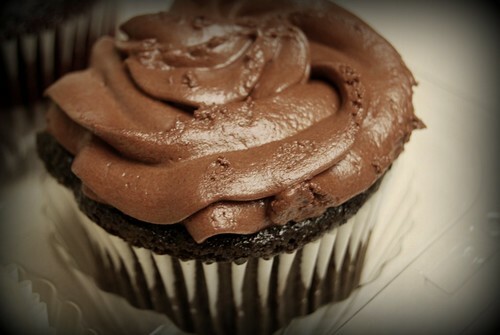 I actually might like BMB more than Sprinkles because they are more homestyle and they are also more moist. Plus, they aren’t drowning in frosting! Big Man Bakes = Perfect. The Carrot Cake was one of the best. Just. Wow. I was reluctant to order Vanilla, because I figured it was too plain. Until I tried it! Geez! This is not just vanilla, it has an amazing flavor. I’m guessing almond extract. So good! I can’t really eat chocolate, however when he described it (Ghiradelli) I couldn’t resist at least one bite. 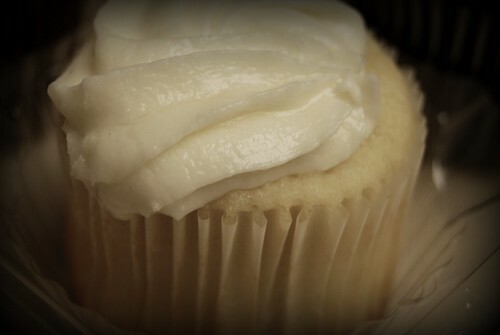 It was light and fluffy and everything a cupcake should be. Big Man Bakes has totally won me over. 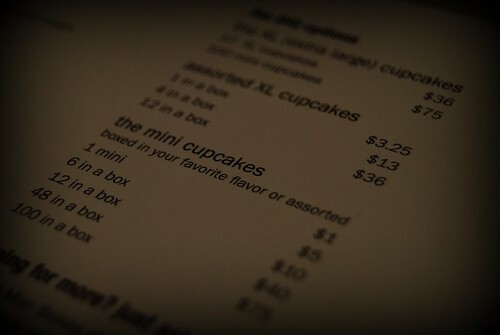 All of the anticipation from the Artwalk to finally trying a full sized cupcakes last night was really worth it. It is too bad that they close Sundays because I would probably be down there getting some more cupcakes right now! I also like that they sell “mini” sized cupcakes if you really want to sample a lot of the flavors or if you want to treat someone. 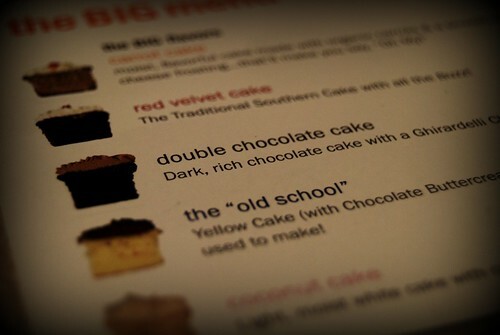 Big Man Bakes is not usually open this late, so I was actually really lucky! 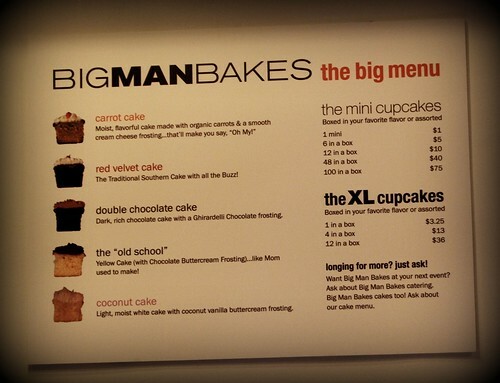 You can check their website for the current hours and to find out more information about Big Man and his cupcakes. 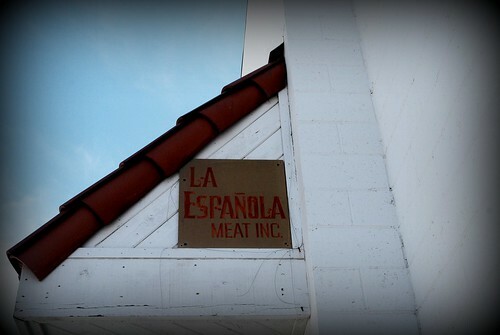 Back in late August I finally made it out to La Española, which I had been hearing about for a while. 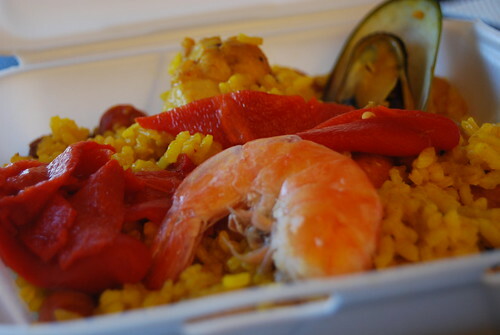 The main attraction is their paella which is known to sell out fairly quickly. For this reason, either you get there early enough to reserve a portion or you call ahead of time. On this particular day, I happened to get there just in time to catch the second batch. However, that meant that I would have to wait about 30 minutes because it was still cooking. I was so hungry, that I decided to order a sandwich to hold me over until food was served. The sandwich was perfect! 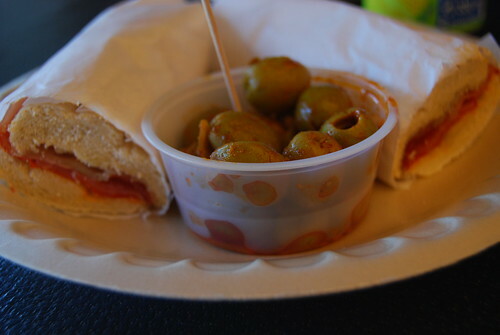 It was prepared right after I ordered it and was served toasted and with a side of olives. 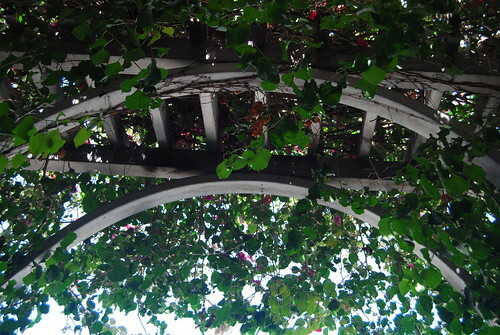 Although located in a rather unasuming building, this is a real gem of a place. 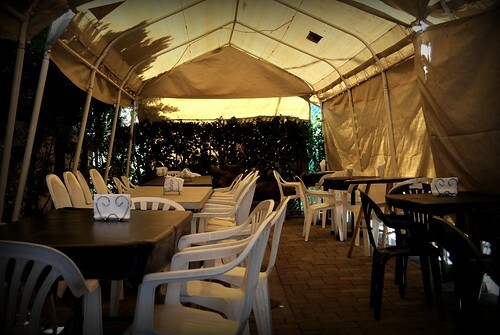 They have an outdoor (covered) seating area to the side, where you can enjoy your meal. 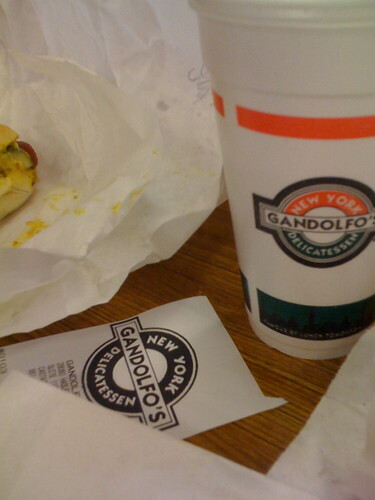 Although it looks empty in the picture, most of the people were inside ordering. Soon after I arrived all of the tables started to fill up. 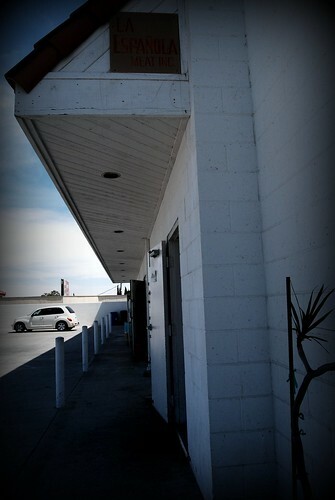 Inside, it is just like a regular deli where you can pick up many food/cooking items that are imported from Spain. You could hear the Spanish language (like from Spain Spain) in the air, and that just added to the authenticity of the place. 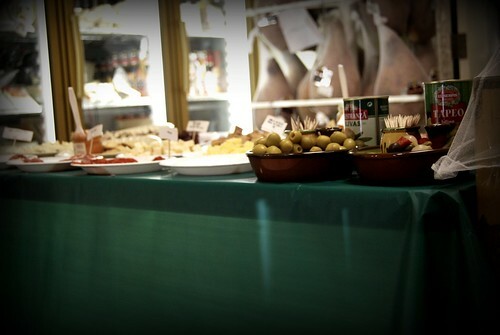 They also had a generous sample table set up, and I was able to try a variety of meats and cheeses. Everything was great! 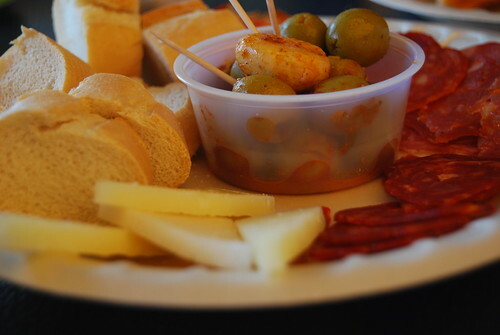 When the paella finally came out, I was pleased to see it was served with a side of meats and cheeses! This was absolutely fabulous! THIS I could eat for days! And now! I present to you the paella, which was one of the best I have ever eaten! Totally worth the wait! It was really fresh and the portion was decent too. Even though this place is really far from home, if I ever find myself craving some authentic paella, its probably worth the drive to eat here again. How has this place been open for so long, and I just barely heard about it?!?! 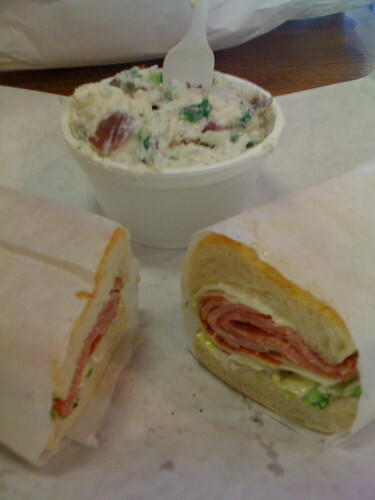 Anyway, the bread was soft, the deli meat was spot on and the potato salad was good. 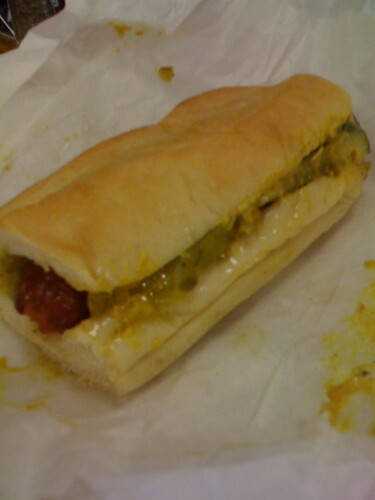 My friend and I ended up sharing a hot dog because we were curious, and it was great! Seriously, if you haven’t tried this place yet, take a break from going to Quizno’s, Jersey Mike’s, or Subway, and check it out!